Game cabinet is laser engraved with the graphics of your choice. Air chamber features a commercial grade, UL approved motor. Games come with commercial ABS mallets and pucks. 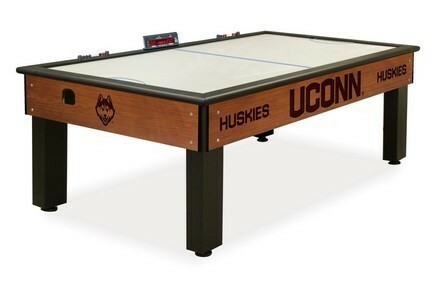 Finish your man cave with this furniture quality game table and enjoy for years to come. Image is artist's representation and image finish may vary from actual production based on screen settings, etc.